Meet a few Jesuits and hear their vocations stories. Just as there are many ways to find God, there are many pathways that Jesuits travel on their way to discerning their vocation. We asked a few Jesuits to share their story of joining the Jesuits, and their experiences of some of the different stages of formation. 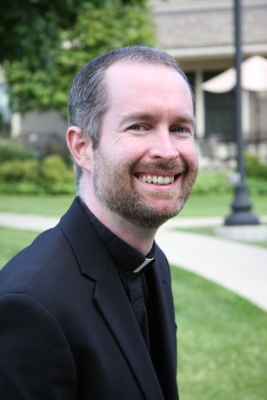 Kieran Gill SJ entered the Society of Jesus in 2008 and completed his novitiate at Canisius College in Sydney. ‘When I was studying at university I met Jesuits and learned about the spirituality, history and ministries of the Society of Jesus. I felt inspired by the Jesuits’ spirituality of companionship with Jesus and by their availability to serve where the needs are greatest. Kieran says the novitiate is a time for testing and confirming whether you are called to the Society of Jesus. ‘I felt that confirmation in our retreats and our ‘experiments’ — pastoral placements which we did in various Jesuit and church communities. Read Kieran’s full story here. 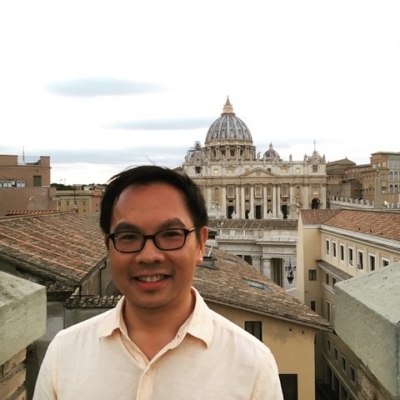 Andy Nguyen SJ entered the Jesuits in 2009, after a number of years pursuing his dream of becoming an architect. ‘Two years after completing my master’s degree, my life as an architect was still not as I had hoped. Not that architecture was no longer of interest to me, but rather architecture remained all-consuming, and no matter how much I gave, I still found no fulfilment in what I was doing. Joining the Jesuits hasn’t meant putting his passions aside, but placing them in service of a greater call – from God. In his time as a scholastic, he’s sought to combine his knowledge of architecture with his studies on liturgy and the sacraments. ‘I was always interested in the relationship between the experiences of music and architecture (which was the topic of my post-graduate research topic). Now that I am a Jesuit, this translates into an interest in the relationship between liturgy and architecture, which can generate rather passionate discussions. Read Andy’s full story here. 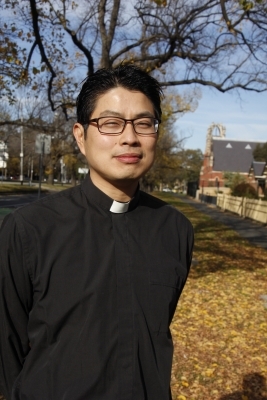 Alan Wong SJ entered the Jesuits in 2007. After undertaking his novitiate, philosophy and Chinese language studies, he embarked on his regency work at a Jesuit high school in Hong Kong. ‘I was born in Hong Kong, and when I was five years old I immigrated with my family to Sydney. So, I do have a Chinese heritage. ‘Initially going to Hong Kong was partly an exploration of my own identity. But it also was linked with this whole mission aspect. ‘I thought I would be going to Regency straight away, but the superiors suggested I do some language study first which would strengthen my foundation in Chinese. And I was sceptical because I thought I could just go in. But spending that year-and-a-half studying provided a lot of help in the ministry. He says that there was a moment when he was accompanying the Hong Kong students on a trip to Cambodia when he felt a strong sense from God that he had found his place in the world. ‘We were basically walking towards a village – this was about halfway through the ten-day trip – I realised this was where I’m meant to be. With the people of God, in terms of the students, but also the wider world, even in a non-Catholic country. Read Alan’s full story here. For more information about becoming a Jesuit, contact us at vocations@sjasl.org.au. The formation process for becoming a Jesuit.